The Argentina National Team celebrating. A Lionel MESSI hat trick and a goal by Sergio AGÜERO meant Argentina picked up a comfortable 4-0 win versus Haiti. Played at La Bombonera, it was a disappointing first half for the most part. While the team managed to move the ball around and linked-up together, they only managed to find a goal through a Lionel MESSI penalty kick. Giovani LO CELSO got to a loose ball in the area and was taken down which resulted in the spot kick. The captain stepped up and while the Hatian goalkeeper got a hand to it, there was too much power behind the shot. The second half started and once coach Jorge SAMPAOLI made a few substitutes, the goals started flowing more and more. 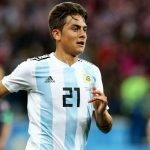 Cristian PAVÓN came on for Ángel DI MARÍA, Sergio AGÜERO for Gonzalo HIGUAÍN and Maxi MEZA for Manuel LANZINI. Right before the changes, HIGUAÍN went passed his man and crossed the ball in to LO CELSO but his headed effort was parried away and landed to MESSI’s feet as MESSI got his second. Minutes after coming on, PAVÓN had a lovely run on the wing, beat his marker and slid an assist to the world’s best player as MESSI completed his hat trick. About three minutes after that, AGÜERO got on the scoresheet. 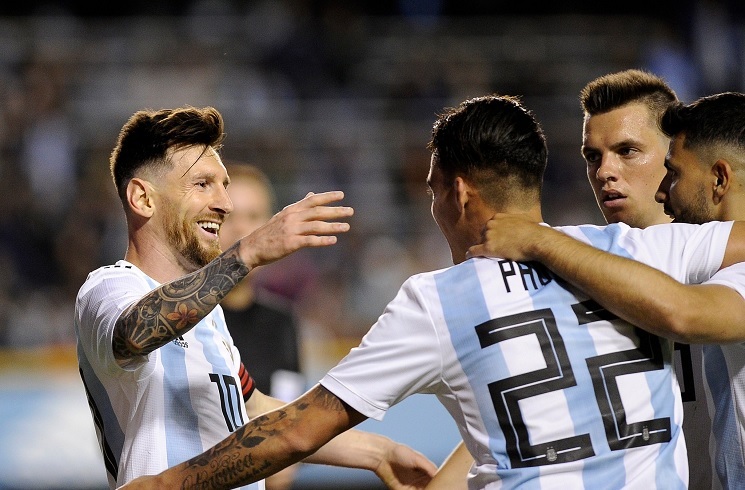 Maxi MEZA won the ball back and it got to MESSI who played Sergio AGÜERO in beautifuly with a lovely pass as Kun held his defender off and scored to make it 4-0 and complete Argentina’s victory. Argentina coach Jorge SAMPAOLI made three other changes during the match, Marcos ROJO came on for Federico FAZIO, Éver BANEGA for Giovani LO CELSO and Marcos ACUÑA on for Nicolás TAGLIAFICO. I am surprised to read most of the comments here. I thought we played a good game, at least we looked like a team and by the way Mascherano was pretty good, he has the ability to do link ups and long balls with the likes of Messi and Aguero. Within first few mins he had a great ball to Messi-which unfortunately didnt go inside-poor finishing on Messi’s part but overall Masche controlled the midfield with the young folks, Lanzini was dropping a lot to cover up for Masche along with Lo Celco who had a great game in my opinion. Overall we saw a certain chemistry building up-something we didnt see in the entire last two years. Remember even against Spain the entire first half was pretty competitive with Masche as the DM. I have a feeling that Messi is going to carry this team on his shoulders-he was everywhere yesterday-even dropping back a lot and at times playing as a CF (while Higuain was around). There were hardly any missed passes or stupid tackles etc. I didnt like Willy coming out of the box so much but overall it was a fairly smooth operation minus the finishing in the first half-it would improve with Aguero and Pavon or Meza Dyballa etc. I am hopeful and as our captain constantly says-we need to win that first game- in a good way- it would boost our confidence and we can play a free pressing game. VAMOS ARGENTINA ! One thing that worries me is the partner for otamendi at center back. Fazio looks slow and slender. He may be our weak spot. Speedy n tricky forwards like Griezmann, Vardy, Asensio, Suarez will punish him. Unfortunately Sampa picks Rojo as another CB. He is known in EPL for being easily exposed and fragile (after he got long injury). Sampa should have picked between Pezzella or Garay. As for Mori, he just recovered from injury and not yet at his optimum condition. All we can do now is hoping that Otamendi performs super excellent n won’t get injured. He is our dependable at the back. I think Lanzini should start but on the other hand it seems Salvio/Meza on right wing and Tagliafico/Pavon on left will give us most fastness, energy and moving. horrific display! unbelievable! this team would draw against Haiti without messi! i spit on every single one in this team except leo! cant wait for this world cup to be over so we can finally start building a new argentina side! a better one! i never hated this team more than today! i am fed up i cant take it anymore! three last matches to watch and then i will be dancing on their graves! So your tips were 0:0 and 0:1 vs Israel, dont be even bigger clown! Messi is happier when he scored 3rd goal not because of hattrick ,It is due to the quality of ball from pavon which he used to get at regular basis from alba at barcelona. His comments(Found a new partner) reflected it how much he is longing for that kind of play with argentina. Good news for argentina , messi and pavon. It looks aguero is back to best, Tagliafico is a good prospect, Celso is briliant. 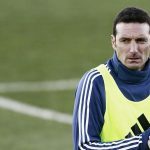 – Higuain can’t hack it any more. He hasn’t been able to for years now. Di maria as a sub, not a starter. Mascherano, I like his understanding with Messi, but against teams that press good (Spain, Germany, France, Brazil, Colombia, etc.) he would be destroyed. – I don’t know what formation was being played, but if that’s the 2-3-3-2 that should be expected, it doesn’t look too promising. – 4-2-3-1 would give Messi all the freedom in the world and have support from younger guns all around him. – I would LOVE to see a Messi-Dybala line-up but at the moment I don’t see where he could fit. Maybe as RW perhaps? In a 4-3-3 maybe Messi as RF and Dybala as LF, with a midfield of Lanzini, Meza, and Mascherano could work, as he would be surrounded with youth who could cover for him. We still have another friendly with a tougher team Israel. Then we will se what these players are made of and who should and should not be starting for the WC. What does everyone else think after today’s performance? – sounds like Sampa is going to keep Willy as the starter? – What about Lanzini? I thought he looked good on the ball personally. We need creative players out there besides Messi and Lanzini definitely fits the bill there. How do Meza, Lanzini, and Lo Celso all fit in the line-up together? Do you drop Pavon then? – I think Mascherano is going to be the guy at DM but I’m betting they rotate him and Biglia and come off the bench with Banega just like they did tonight. LM: Meza/Pavon … the problem is Meza, Lanzini, and Pavon all like the left side. Somebody will have to take the right. I would like to see Meza start on the left and get some time in his natural position with Messi on the field. Sub in with Di Maria. a nice run about and the great was always messi, very good was pavon, la co, traf, very solid was masc, good was kun, lanz and poor was di maria and hig-nothing has changes for these 2 sadly. Pavon should start instead of dimaria. Dimaria could be super sub.dimaria has no maturity even after playing so much years.His crosses are pathetic. After all these years, Di maria still do not have basic knowledge of passing and Huigain is …… We need Augero . Every one played good except Huigain and Maria. This game was great. I hope that with the game against Israel, Sampaoli tries out some different combos of players to see who works well together. Out of all of them the only one I’m sure shouldn’t start is Higuain. Aguero was much better in the same position. I would be interested to see if Di Maria playing with Aguero would have had an assist or 2. I also hope that Dybala gets some game time against Israel as well. Let him play in Messi’s position for 20 minutes and see what happens. Overall, I’m happy with this performance. I understand that Aguero wasn’t fit enough to start over Higuain, but when he is, he should. Higuain did have that nice little cross to Lo Celso, but Aguero can score, and if he got as much time as Gonzalo, he’d have scored more than once. Because they are only our strikers who can score. Remember Huigain has not scored against top teams let alone in argentina shirt. Di maria is very inconsistent and brainless player who think running more is playing better. Felt like he had lil discomfort… Thanks! But he has recovered during the play itself. He had done an old mascherano style sliding tackle in last parts of the game. That is the proof. He will be fine. He is not old, he is older. He is worn out, he had very taxing last few years and at club level played out of position. He is now rested (china is a walk in the park), focused, and come the WC he will be so passionate you wont see much a difference between 2014 masch snd today. He still has it. Trust he will give 150% always. Today he showed his interceptions are still sharp and his passing was spot on. Surround him with hard working players and we are fine. really wish this is true. It will be wonderful to have Masche back at the 2014 level. half of our problems will be fixed with that bcos the midfield now is more fresh & has the creativity quotient with locelso, lanzini, meza etc. Mascherano has finished.I watched one instance a Haiti midfielder easily out muscled mascherano and easily went past him.noway he can tackle fast or technical midfielders or forwards of Spain Germany France brazil and even against tier 2 sides like Croatia Iceland Poland Belgium Denmark etc he will struggle.sadly biglia is our only hope.right now biglia is far better than mascherano.mayb biglia also slow but still can interrupt play close the counters and at least when in trouble can give a back pass.he is no world class but we don’t have a world class dm anyway.sadly we don’t have any cover for biglia.biglia is not 100% still and can get injured in WC also.